RG's Ballpark Dogs & More on East Michigan Avenue in Lansing. I go to a lot of Lugnuts games and almost every game I go to, I walk right by a little Mexican/hot dog place on the corner of Michigan Avenue and Pere Marquette Street. Sometimes, the restaurant is open, but most of the time, it’s not. 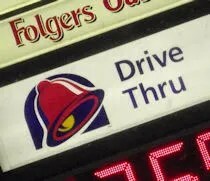 It seems like every time I walk by, I’m low on cash so I’ve never been able to stop in for a quick meal. I was downtown this afternoon for the Lugnuts Summer Family Fun day game. When I walked by before the game, the store was open. 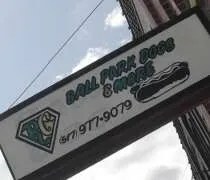 I didn’t eat at the park figuring I would take my chance and see if they were open when the game was over. After a dramatic ninth inning, two out comeback that fell just short, I started walking back towards my truck. The door to the restaurant was open and there was one other person in. The special board caught my eye, so I made a quick turn to see what this little corner shop was hiding. RG’s Ballpark Dogs & More is about a block from Oldsmobile Park on the corner of Michigan Avenue and Pere Marquette right across the street from Clara’s. I have no idea what the hours are or even if they have regular hours. I’ve tried to see if they were posted somewhere on the window or door, but there’s nothing. 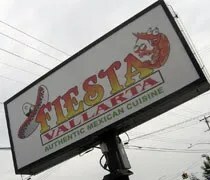 Fiesta Vallarta on South Cedar Street in Lansing. I always thought it would be great if there was a sit down restaurant that J and I could easily walk to. When we moved here, the only choices were Ponderosa or Charlie Kang’s II. We put off Ponderosa for a long time (and with good reason) and we’re not into any Asian cuisine. When I saw work at the closed Charlie Kang’s, I had hopes that it would be someplace we might like. 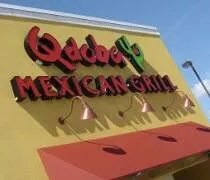 When I saw the building being painted orange, there was no doubt a Mexican restaurant was moving in. For the last several weeks, we passed by hoping to see signs of life inside or at least a “coming soon” side. On Thursday, we saw the “open” sign lighted up and by the time we finished running errands, there was a huge “now open” banner on the side of the road. It was just a matter of time before we stopped in for lunch. Fiesta Vallarta is on South Cedar Street almost underneath I-94. It takes the spot that used to be Charlie Kang’s II. I never went in that business, but I never saw cars out front. I’ve seen more cars in the last four days at Fiesta Vallarta than I did in almost a year at Charlie Kang’s. I’m not 100% on the story behind the business. When I got home, I typed http://www.fiestavallarta.cominto my browser. 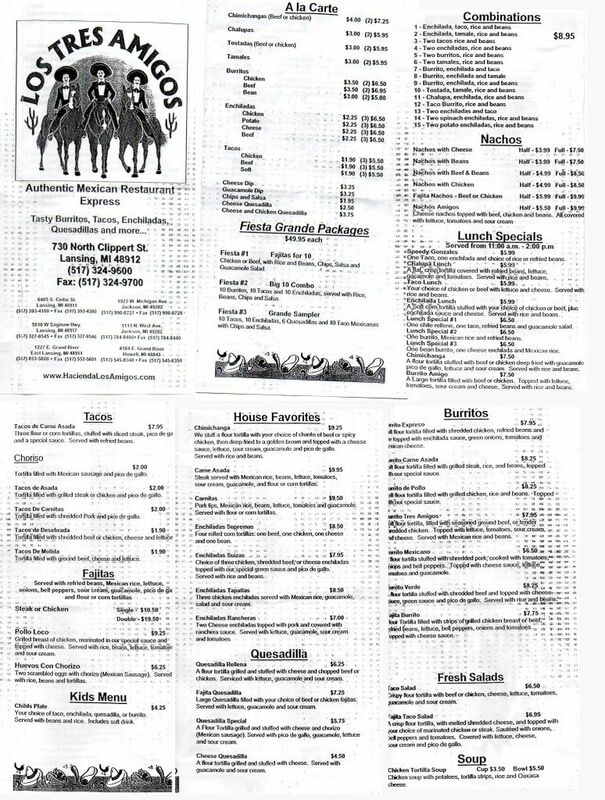 What popped up was a website for a Fiesta Vallarta in California. 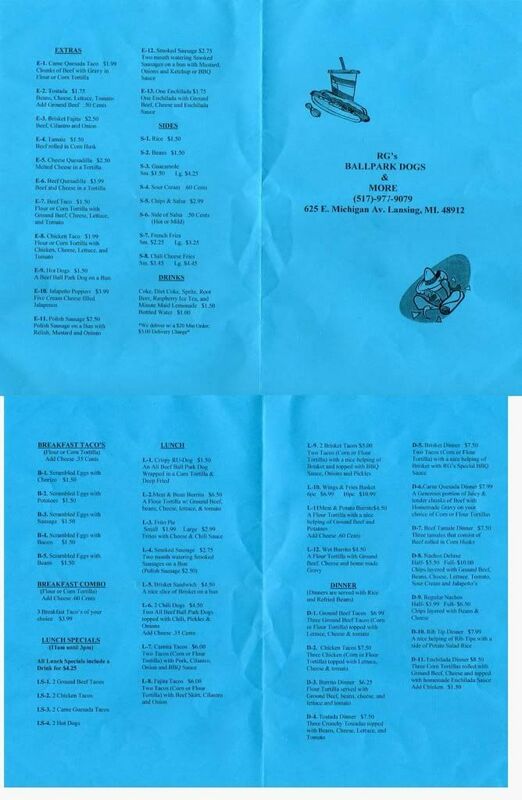 The menu was nothing like this one in Lansing, but the logo’s were very, very close. Turns out, I typed the address wrong. It’s actually a .mx address, but it’s http://www.fiestavallarta.com.mx. 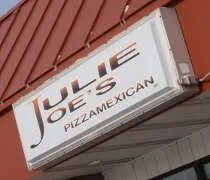 So, I don’t know if there’s a relationship, coincidence, or an homage to the California restaurant. Los Tres Amigos Express near the Frandor Shopping Center. J rarely gets a holiday off, but this year, she actually got to celebrate Memorial Day. We spent the morning running errands and ended up in East Lansing. When it came time for lunch, I asked what she was in the mood for. She said she didn’t care, but Mexican sounded good. 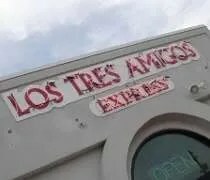 Last week, when we were in Frandor getting her ring sized, I noticed a Los Tres Amigos tucked into a tiny strip mall outside of the Frandor shopping center. Since we had to head back that way, it’s what I chose for lunch. 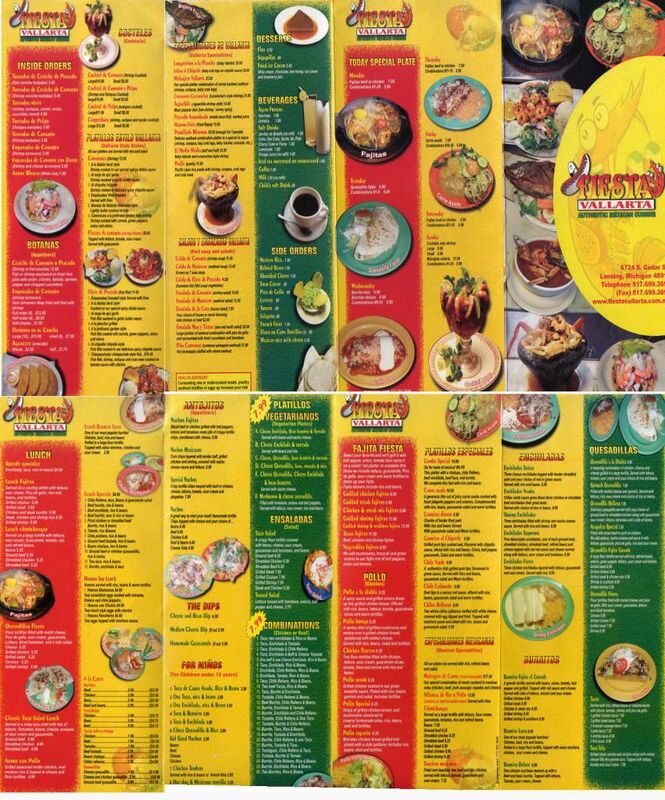 Los Tres Amigos Express is on Clippert Street between Saginaw and Grand River. It’s easy to miss if you’re not looking for it and it took a few times around the block to get in the right parking lot. 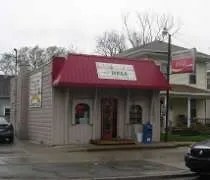 Once we did get parked, we questioned whether this was a sit down restaurant or a take out. You can’t see anything from the door, but once we got inside, we found tables along with an order counter, so you can sit an eat.